The view over the bay recently. I can look at things like this when I get fed up. This rant, or maybe I should say “response,” will be held on the ‘threads’ blog page (textiles tab), because that’s where I want it to be stored. It has to do with assumptions people make about backstrap weaving, and the pervasive ignorance that Western academics keep generating. 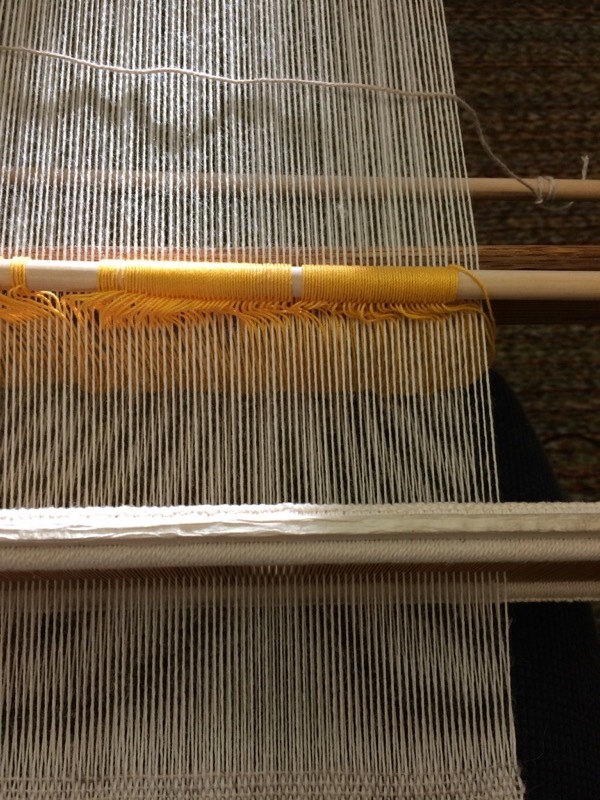 It is a backstrap weaver’s rant/response, and an informative one (with footnotes! ), so join me. Evidence of backstrap weaving. A ridiculously long warp. Wish me luck. 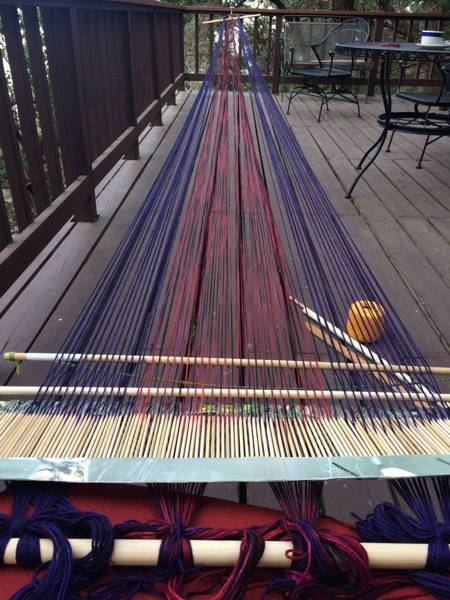 I'm preparing for my second round of teaching an introduction to backstrap weaving through the Cedar Root Folk School at the end of September, and remembering what an enjoyable experience it was last year. This school focuses on sustainable living, with classes taught "hand-to-hand" in an intergenerational, mentoring format. Such a premise attracts students with an interest in skills acquisition. They are coming to learn how to work with their hands in a specific way, for their own long-term benefit, and their focus and earnest attention reflected this. 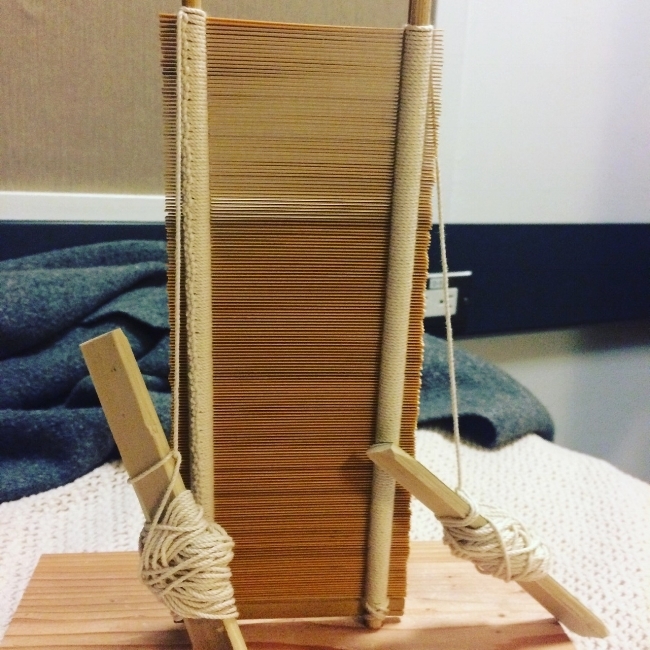 None of my students were weavers when they arrived, but they all took to it quickly, establishing the rhythm of opening sheds and manipulating string heddles. 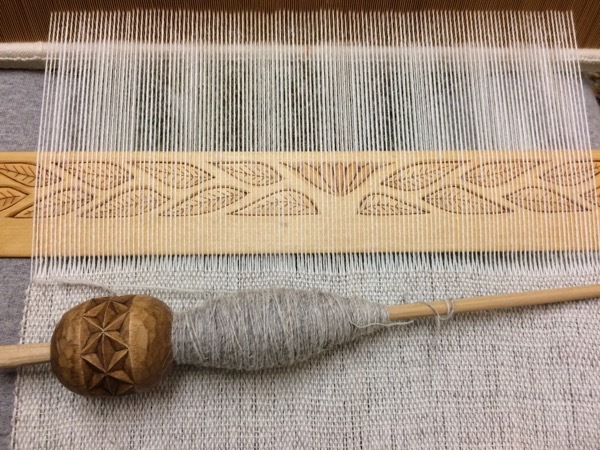 Very soon they were ready to move on from plain weave stripes to the basic tanka ch'oro pickup pattern. Mary wove so fast she could not be bothered to advance the safety pin at her waist, to bring the working area closer. 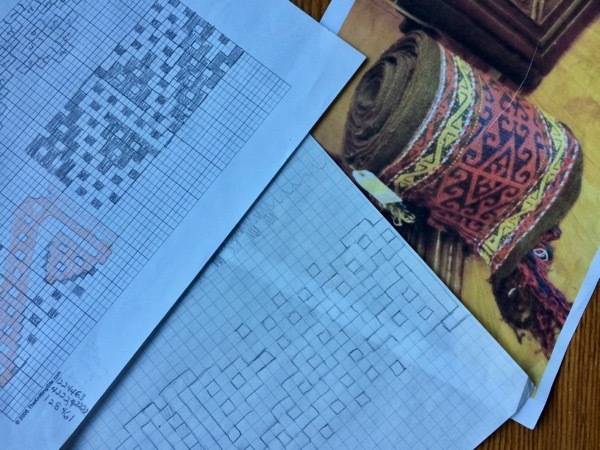 I explained the context of this pattern, that it's a beginner design for young weavers in Peru. These students were interested in all my digressions and side stories, my samples and cultural background notes. 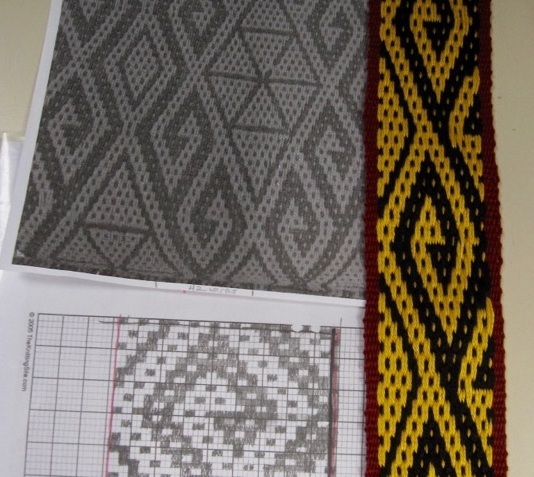 We studied images of backstrap weaving from different parts of the world, and they appreciated the range of possibilities sourcing from an overtly simple method. 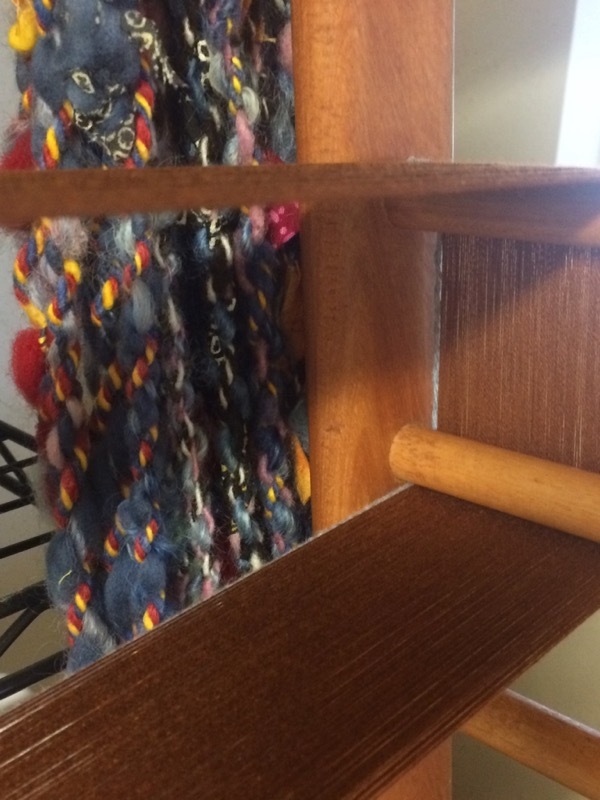 One student brought some handwoven examples from her own collection, for me to admire and try to identify. I love the band pictured below, although I can't tell its origin - possibly Central Asia? 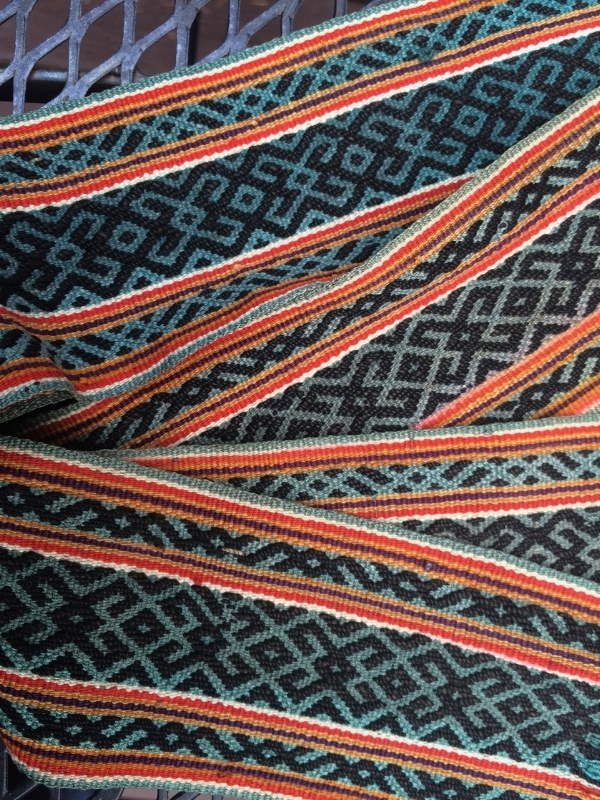 Warp faced band with complementary warp designs - where is it from? We had wide-ranging discussions at lunchtime, confirming that these were not just people I was happy to teach, but women I was glad to know. They worked diligently through the afternoon, practicing pickup and warp winding. The next morning were ready to wind wider warps, to weave their own striped backstraps. Interesting backstrap designs emerged, and these determined students managed to finish, or very nearly finish, the entire thing that day. Taking home the sticks, sword beater, and handwoven backstrap, they were all prepared to keep weaving on their own. It was a gratifying class for me to teach, and I thoroughly enjoyed myself. 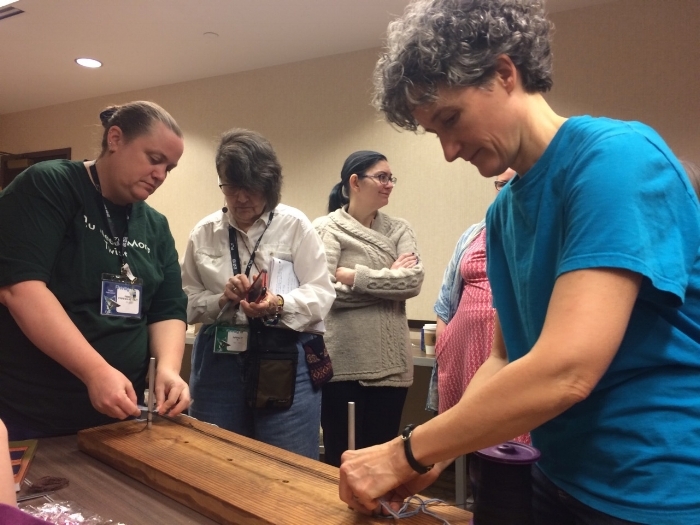 I'm glad to have connected with the Cedar Root Folk School, and I look forward to this year's class. A subdued design, begun on this backstrap after inserting a card to hold the fringe. Having woven a bag with this pattern, which I'm proud of and use so much it's nearly wearing out, I wanted to revive my familiarity with the lovely dotted strips. I've already written about why I like it so much, so I'm going to link to my old blog post celebrating al'ouerjan.